Inspiring tomorrow’s great players, today. At Reynolds Kingdom of Golf presented by Taylormade, our junior programs focus on long-term athletic development and extensive skill building that give all participants the opportunity to set tangible goals at multiple entry points based on experience. All of the programs are designed to be a feeder system to the newly introduced Reynolds Elite Performance program, which is led by three highly trained instructors and helps students achieve their full potential. A fun, supportive, and positive learning environment for future players. First Move Junior Golf blends physical movement with the skills needed to play golf well. Our approach to motor learning enables juniors to develop critical golf-specific athletic movements faster, while enjoying an action-packed non-traditional golf atmosphere. An established rewards system is in place to motivate and recognize improvement, skill mastery, and outstanding performance. On-course instruction in a low-stress environment. This program is designed to teach students of all abilities how to score from a “Green to Tee” perspective. The program includes on-course instruction in a low-stress environment, identifies areas of improvement, and tracks progression to help achieve the goal of shooting lower scores. 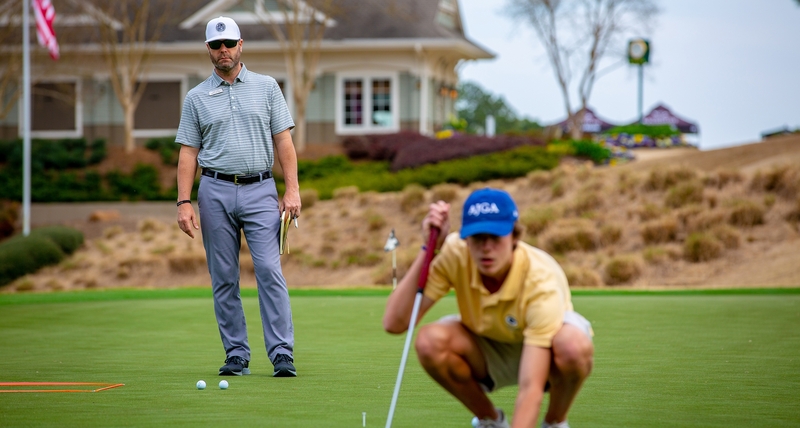 With a maximum instructor-to-student ratio of 4:1, a skill-based scoring system that emphasizes short-game and putting as the fundamental building blocks, and bi-weekly on-course tests with continuous skill building to assess and correct technical fundamentals, this program is engineered to improve all skill levels. The most complete junior program in Georgia. Reynolds Elite Performance aims to provide comprehensive, elite-level training to the best junior golfers in the southeast. With a limited number of spots available, Reynolds Elite Performance fosters a competitive environment with a maximum instructor-to-student ratio of 4:1. The program uses advanced Trackman and elite level scoring systems to provide evaluative data to make timely, precise adjustments that will prepare our students for the next level. Reynolds Kingdom of Golf presented by TaylorMade provides a unique golf venue for up-and-coming elite AJGA golfers. AJGA athletes have the opportunity to receive identical services and experiences from technicians who have fitted AJGA alumni Dustin Johnson, Sergio Garcia, Daniel Berger, Jim Herman, Jon Rahm, Jessica Korda, Paula Creamer, Natalie Gulbis, Danielle Kang and many more. AJGA members receive access to the most recent TaylorMade products. At Reynolds Kingdom of Golf presented by TaylorMade, there are over 500 shaft and 50 grip options available for testing. All clubs made here are customized to a player’s personal swing specifications and can be built on-site in a TaylorMade/PGA Tour Trailer. 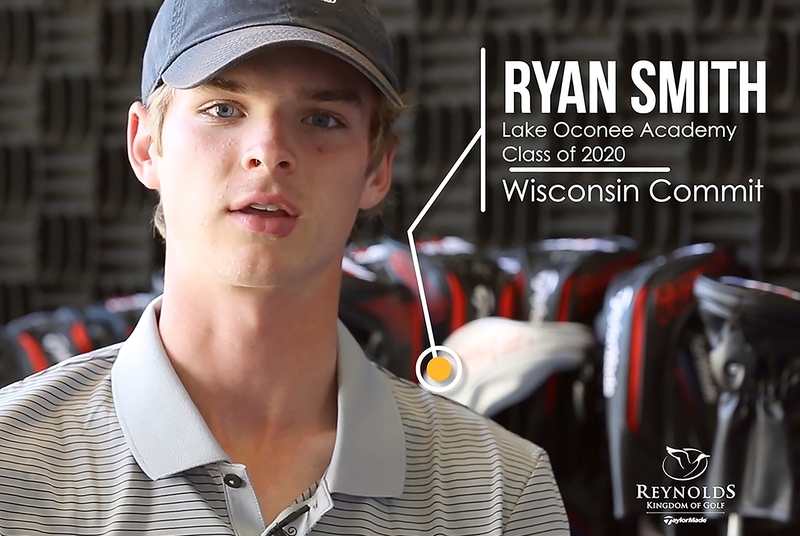 Reynolds Kingdom of Golf presented by TaylorMade now offers AJGA members access to test the performance characteristics of the TaylorMade Tour Preferred ball within our world-class short-game facility. With our full-fit experience, AJGA members will have the opportunity to experience the exceptional distance and control that TaylorMade TP balls provide to golfers.